Get your Squad ready to deploy, because on August 31, you’re going to experience war on an epic scale in Battlefield 1. Today Firefly Studios becomes the first developer to place the fate of entire game worlds in the hands of its players. The Stronghold developer announced that their ‘Final Age’ expansion for medieval castle MMO Stronghold Kingdoms will give a single player, the Marshall of a winning House, the option end their game world with the press of a single button. As the British developer prepares for the cross-platform release of Stronghold Kingdoms on iOS and Android, players on PC and Mac ready themselves for the unique trials of the Final Age. In this expansion a single House of players must conquer and capture all Royal Towers, a new PvE target on the world map, before deciding whether or not to press ‘The Button’ and close their world forever. Players are then rewarded with multiple prize tiers based on their rank and position at world end, with up to $500 of in-game loot each. While the Sixth Age is already available, the Final Age expansion is set for release in the near future. Meanwhile Firefly is responding to one particular request from the community by developing a new in-game event system, offering global PvE and PvP challenges in which players compete for rewards. There are even new world types on the horizon to replace the old and give all players the opportunity for a fresh start in new and uncharted lands. For more game information please visit the official Stronghold Kingdoms website. NVIDIA has released the GeForce 372.70 WHQL “Game Ready” drivers. 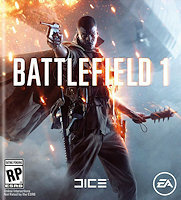 These drivers feature day-one optimization for “Battlefield 1″ Open Beta, “World of Warcraft: Legion,” and “Quantum Break” Steam release (Win32 variant, supports multi-GPU). The drivers also include a DPC fix for multi-GPU machines, building on the fix NVIDIA released for single-GPU machines in the previous release. The drivers also enable NVIDIA Fast Sync for GeForce 900 series “Maxwell” GPUs. You can download the new GeForce 372.70 WHQL drivers from GeForce Experience and GeForce.com. Few things are more contagious than the stories people tell about Crusader Kings II. Tales of intrigue, piety, conquest and murderous sibling rivalry have circled the internet for over four years. Today, Paradox Development Studio adds the world’s greatest pandemic to the mix in The Reaper’s Due, the latest expansion to its best-selling medieval grand strategy-roleplaying game. Watch the release trailer here. The Reaper’s Due adds a host of new mechanics centered on the Black Death and other world shaping epidemics. Lock your gates to keep the plague from infecting your court, even if it means cutting yourself off from your suffering citizens. Peace and good management will see your provinces reward you with greater wealth and manpower, but rampant disease may depopulate your countryside. And, as always, The Reaper’s Due will be accompanied by a major free update for everyone who owns Crusader Kings II, whether they buy the new expansion or not. Are you a clever enough ruler to make it through one of humanity’s darkest moments? Invest wisely and avoid the plague, or shut yourself off and take advantage of the destruction later. The choice, as always, is yours. For more information about Crusader Kings II, visit the games official website. In today’s review, I will be taking a look at the Cooler Master MasterLiquid Maker 92, a dual-fan, all-in-one liquid cooler. At first, it seems to redefine what to expect from an AIO. The radiator and fans are mounted much in the same way as a tower cooler. 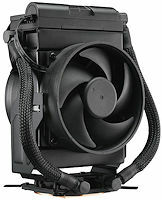 I will give Cooler Master credit here since this is definitely an interesting design. It may not be pretty, but definitely is interesting.